This entry was posted in business, energy, how to, reviews, technology, wind by Lee Devlin. Bookmark the permalink. To Anyone, look at the length of this blog, its almost three years old. Guess what? Things have changed since this CD was put out. Do we still have those? CD’s? Anyway times have changed, and right now, I am going to look at the CD’s that I purchased via “Frank” 3 years ago. I have too. In my “retirement” and todays market, lack of interest on FDIC instruments, and as of yesterday, that’s not getting better. I just opened up my bill and am having the sweats trying to figure the budget around this. Its a hot summer, Ok I like my comfort A/C. This is the fourth month straight, where my Electric Bill is just shy of $300 for 1300kwh. Half the bill is Delivery and System charges, Yup!!! Half!! !I have to do something else, for my future and my family. 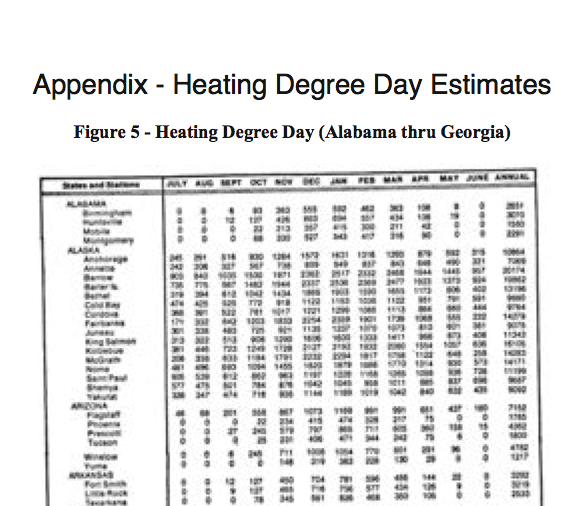 Winter is coming and the Natural Gas Bills can be just as high. I have to get more energy efficient. I am being forced too. I’ve taken classes on insulation, and sealing a house, the blower door etc. I changed to LED’s after the research proved it. I am not paranoid, I am scared. As the only income provider in the home, on a limited income, Its staring me in the face every month. I don’t have a big house, 1700sf. Just the “New” Bills are more than I make in a month. TV, Cable, Internet, FKN Cell phones. Now add Electric? Half just for bringing it to me? Fossil fuels are at an all time low, so much that now it doesn’t pay to bring it out of the ground. Generations of Labor gone, because it doesn’t pay. I am still payin $3.00 a gallon for gas. Where? Where is it at? If Franks CD, engrosses me for 45 minutes and takes me away from the reality, $30.00 worth it. If I learn anything while watching it, all the more better. Yes I guess you all know where I live now, L.I.N.Y home of where between taxes and utilities they keep you broke. I am going to save $10,000 collecting bottles, and I am going Solar, I am researching on/off grid options. Like the 2015 posts have said, things in the area of generating and storing electricity have gotten better. Its my 10 Grand, and my family in the future will be saving $300 a month. God Bless you all. Now lets go see what Frank is selling now, I am scared. I am a 27 year several tours combat veteran, and I tell you I am scared. The changes in Policies and General Peoples Behavior is not what is was 20 years ago. People are out for themselves, Everyone is entitled. Entitled to say whatever they want, do whatever they want. Think they are deserved of Respect. Once upon a time, that was earned. I did my job and service to the country, my wife did too. She worked for the Federal Government in NYC. Two blocks from the towers on 911, and every day for the next 12 years. A rare cancer killed her. It took 8 months. She started in the Army too, 12 years. She has provided service to the nation for her whole career, one way or another doing something always for someone else. She left the military so we could have a family, and for the next 15 years we have been at war, I didn’t get to enjoy the “Family” duty calls. When she was diagnosed, I came home and took care of her on Home Hospice. Hospitals, Drs, everyone said we can’t do anything for her other than pain management, so why is she in a Hospital? I had for the first time 8 solid months with my wife in 15 years, and my son. When she died, her job didn’t even know, she was sick. How do you accumulate 689hrs Leave without pay, without someone asking why? Unlike her, they were only interested in themselves. Her Supervisor, put out a statement that she passed due to Breast Cancer. Cancer is no joke, but she didn’t pass from Breast Cancer. We worked for the American Dream, for the first time we had our own home, she knew that when she passed. She wanted to stay in her American Dream, till the day she died. Point being, You have to do things for yourself, don’t wait for someone else to do it. Don’t think the Government id going to bail you out a 4th time because you have beachfront views, and the Hurricanes which do come naturally decide to flood you out. Billions to rebuild, for some. Nothing for others. Entitled you maybe, but the American way is to Persevere under the most hardest of situations, and to do it with Honor, Dignity and Respect. I don’t know whats in your shoes, now you know a little what is in mine. No one helped us with Medical Bills, Medications, Hospital bed, and other machines to facilitate getting my wife around with the least pain, so she could have dignity in the bathroom, in the shower, in the kitchen, dining room or on the old couch in the living room so she could look at the windows. Instead of leaving her, for urinals, sponge baths, non-stop laundry so she was clean. Special Bandages to help prevent bed sores. Everything. Not because she was entitled, she deserved it, she earned it. She doesn’t know, it cost us our future, our entire thrift savings plan, You have to do for yourself, Thanks Frank, for at least letting me sit and watch, and give me the opportunity to decide and do for myself. 4.5 million dollars? Frank? Shipping conglomerates? A Patriot in a cabin? No wood for the fire? No food for the table, Not enough money to pay for Electric? Welcome to over half the middle class, all the lower income that are not able to receive subsidies. I spend my days volunteering now, the VA, Homes, the elderly, the in abled. I cut the grass, paint the door and sills, stop the leaking tub, faucet, Lend a helping hand because they might have no one else there. Sometimes it just takes two. For a majority of America it does. How many children go to bed hungry? Makes me happy that your basement is full. There is a big wrong in our way of life now, It’s not supposed to be this way. I try to make a difference by giving. I really wish, that as the patriot he claims to be, he starts to give too. Just the logistics capabilities that he has the knowledge of could benefit so many others.